The Campomaggi double buckle shoulder bag is the perfect accessory for dressing up your casual ensembles. 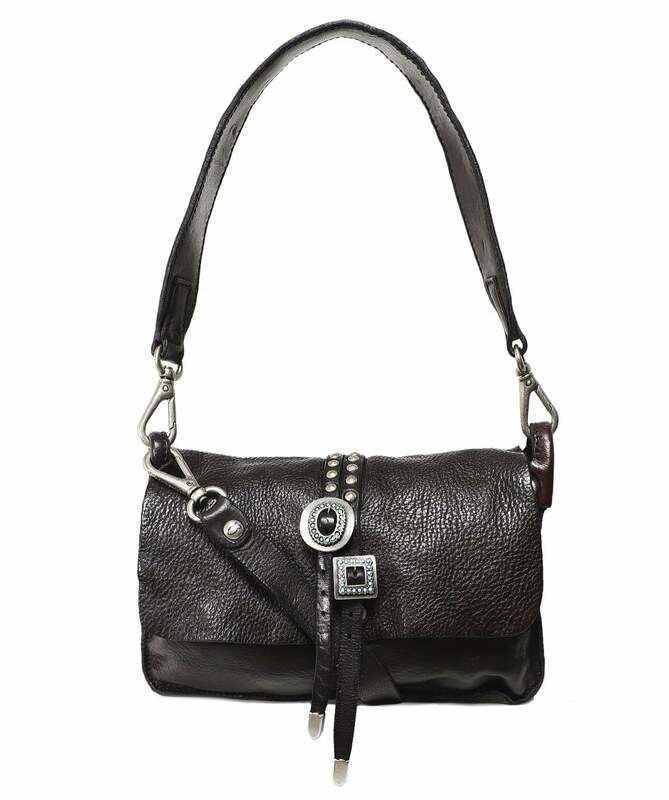 Beautifully crafted in Italy from genuine cowhide, this western inspired bag features a double buckle with turquoise stones to the front, two shoulder straps and silver toned hardware. Complete with a branded leather badge to the back for an added designer finishing touch, this bag is a beautiful and versatile accessory.